Bring a little flair to your home without having to rip-out your existing kitchen. We can design, manufacture and install replacement doors and work-tops to give your kitchen a fresh and modern face-lift, without the need for a complete rip-out and re-build. This is an extremely cost-effective way of bringing a little flair and freshness to your tired kitchen. 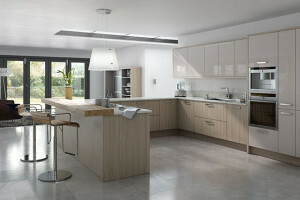 Our replacement doors and work-tops are superb quality. They are fitted professionally and with great care by our own team of experienced fitters.